Marijuana Is Gaining Popularity Among College Students : Shots - Health News Illicit drug use runs in cycles, and right now young adults are favoring marijuana over opioids or amphetamines. But they're still indulging a lot less than people in the baby boom generation. Legalization of recreational marijuana may be a factor influencing increased use college-age young adults. High school students and young adults are much less likely to use illicit drugs than their parents, according to data released Thursday. And compared to baby boomers, young adults today look like outright angels. Except for their acceptance of marijuana, that is. This report comes from a running, four-decade-long study of drug, tobacco and alcohol use from the University of Michigan. This most recent iteration shows that people in their 40s and 50s used far more drugs in their youth than do people in their teens and 20s today. "The proportion of Americans in their 40s and 50s who have experience with illicit drugs is quite shocking," says Lloyd Johnston, a research scientist at the University of Michigan and the lead investigator on the study. "It's a great majority." Not counting marijuana, over 70 percent of people in their 50s have used illegal drugs in their lifetimes. 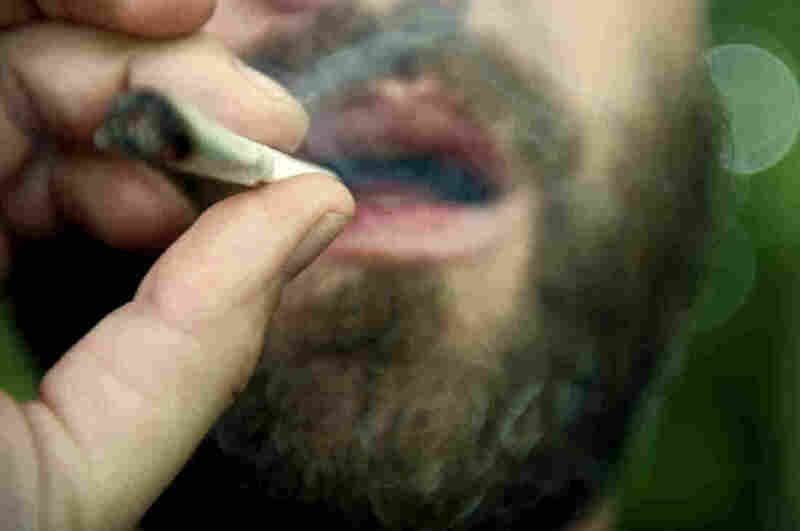 Including marijuana, the proportion soars to about 85 percent of people in their 50s. Back when these people were in college, nearly half of them were using illegal drugs compared to around 40 percent of college-aged adults today. In fact, young people have been increasingly shunning psychoactive substances for a while now. Cigarette use is at an all-time low, with 20.5 percent of college students saying they smoked in 2015 compared to 44.5 percent in 1999. "Maybe the most important of all is the decline in narcotic drugs like Vicodin and OxyContin and so forth," Johnston says. Use of prescription opioids by college students has dropped from 8.7 percent in 2003 to 3.3 percent in 2015. "That's despite the fact that we know from the news that the use and misuse of narcotic drugs is a growing problem in the country," Johnston says. The reason is not completely clear, Johnston says, but it probably has to do with young people learning to be wary. "When someone sees a substance is dangerous, they tend to avoid it," he says. "And one of the things we've seen is an increased in perceived risk for a number of drugs." But when it comes to marijuana, the trend reverses. "For the most part, among both college and high school students their perception of how dangerous [cannabis] is has dropped like a rock," Johnston says. That tracks closely with how use of cannabis, which has been steadily rising for the past couple of decades. The policy debate around the legalization of recreational and medical marijuana is probably making the drug seem a lot less dangerous, Johnston thinks. "It's hard to see what else would account for such a dramatic change in perceived risk," he says. Other studies have shown that negative messages about cannabis are rare on social media. And negative opinions or information about other drugs floating on the Internet could make them seem more dangerous. Shortly after synthetic marijuana, also called spice, became popular, videos on YouTube and Twitter showed terrifying effects the drug had on users. This report shows an abrupt drop in spice use, from 8.5 percent of college students to 1.5 percent in 2015. "The use of the Internet has certainly increased information exchange from objective sources and other people the same age," Johnston says. "Perhaps young people today are more informed about things." There's also a lot of federal funding available for drug prevention programs that target young people, particularly high school-aged students, says Jennifer Whitehill, a public health researcher at the University of Massachusetts, Amherst. And a lot of drug awareness campaigns didn't get started until after the 1980s. That could also contribute to the declining use of drugs among young people. Whatever the reason, the declines in illicit drug use don't mean our society is going to become drug-free. The last period of declining drug use was in the late '80s, and Johnston says that efforts to reduce drug use started dropping off after that. "Congress spent less time and money on the drug issue and, most importantly, the media dropped the drug issue." That gave a bump to drug use in the '90s. The decline right now could just be setting the stage for another resurgence of illegal drug use, Johnston says. "As we're seeing a period of decline in illicit drugs, there's less attention to the issue, and young people grow up knowing less about why they shouldn't use them."